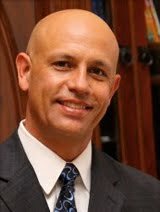 Ike Tippetts: WHAT'S IN A COMPANY NAME? People often ask me: "Why did you name your company Rainforest?" From the day I decided to start the company back in December 1999, I knew I wanted a name people would remember. Basically, that's the answer to the question really. The first thing I thought of was all the marketing possibilities. 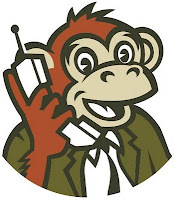 The company mascot (Ryan Forest the monkey) was born almost simultaneously and has been part of almost every advertisement since day one. When you Google plumbing companies or check the records of the Secretary of State, it seems at first glance that every possible name has already been chosen. The process for me was to find a name that wasn't anywhere close to what people would expect. 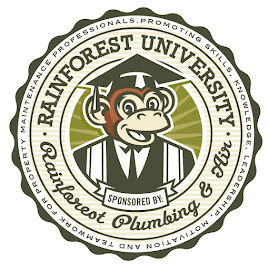 Our company name was originally "Rainforest Plumbing Works". After we started the heating and air conditioning division in February of 2009, I changed the name to Rainforest Plumbing & Air. Rainforest Plumbing & Air is a division of Rainforest Works, Inc.
1. What if you decide to sell the company? You'll be selling your name too without necessarily having any control over how it is used. 2. If your company gets big (and it should), you'll have to delegate many, many things. If your company is called say "Johnny Smith Plumbing", every complaint or issue will be directly routed to guess who? Johnny Smith --You! 3. As every entrepreneur knows, occasionally something goes wrong. If your company is named after you, it reflects on you personally more than it would otherwise. What if your company was named "Timbucktwo Plumbing & Air"? People might find you on the internet if they search "plumber in "Timbucktwo" but what if they are close to you in "Timbuckthree"? You would be willing to go there was well (sometimes you would be willing to go anywhere for a service call). Again, if your company gets big, you will want to expand and there will be the problem of a name that limits your dreams geographically. Even if you may not have a vision of expansion, a potential buyer might but will be discouraged by a name that isn't big enough. It used to be that the first thing to do when checking a company name would be to check with the Secretary of State. Today, the internet is a much better source for what names are being used. If you have an idea for a company name, check the internet first. Be sure you land one that is exclusive then obtain ownership of the url (ie. www.yourcompanyname.com). The next step is to register the trade name with the Secretary of State then file for a corporate name by forming a corporation. In Arizona, this is done through the Arizona Corporation Commission. There are many company names out there that come up with some really creative spellings of a real word. I hesitate to use an example because I would surely hit on an actual company name somewhere out there. This would be like the Phoenix Suns calling themselves the "Phoenix Sunz". People would probably never find the company using a Google search because they would be spelling it "wrong". When you answer the phone or dictate your company name, it would never be obvious and you'd have to spell it every time.